When I look at the following photos, I am struck by several things. Firstly, I love the deep dark red on the dogs and the dark pigment of their skin. 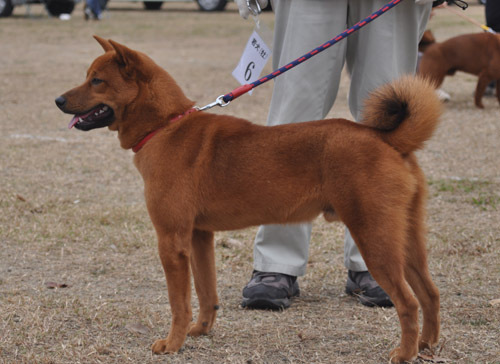 I have seen tons of clear red Shibas, which have a beautiful flame red color, but this is more a deep mahogany, which, along with the black tipped hairs on the muzzle, back and tail, reminds me greatly of the sashige, or dirty red, only more brilliant. Sashige is undesirable in the modern Shiba, and many will mistake it for sesame, which it is not. 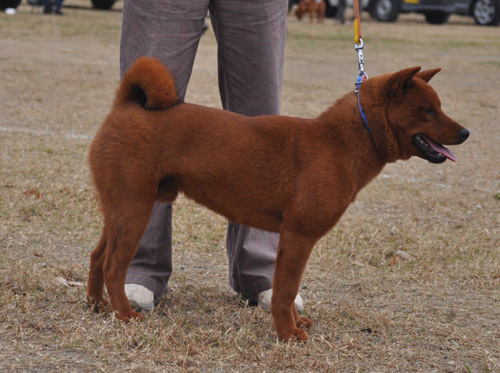 When presented with the decision, most breeders would place a sashige in a pet home over a clear red, unless the dog was outstanding in other areas. The second big thing that I noticed is that the dogs seems more unrefined compared to a modern Shiba. They do not have any urajiro, and the small numbers and isolation have probably kept their refinement as a breed, from happening very quickly. me most of my Beebe girl. They could be twins. ﻿﻿ I have several questions: Does selecting for urajiro, the required white markings on the face, underbelly, and legs, contribute to fading in Shibas? The pigments on these dogs are so intense and consistent compared to the modern Shiba Inu, which seems to be plagued by yellow coats, reverse masks, and washed out reds or cream dogs, I have to wonder. Did our modern Shibas once look like this? I think some still do, very much so. Have our modern Shibas become so refined that they no longer resemble a “real” Shiba? I love in a Shiba. He is as genuine and real as you can find. As a puppy, he really looks like a Mino! Baby Farrah. Her sire is BISS Ch. Tenkai Go Ryukuu Uruma. 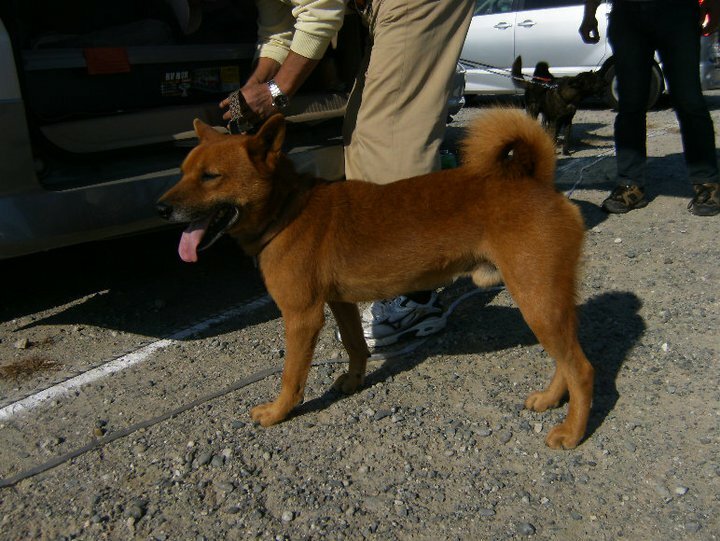 I really like the Mino Shiba!I think that's why I'm a bit drawn to that Ryukyu dog that may or may not be a Japanese breed. They look so hardy, not so prancy-fancy. You know? Absolutely fascinating. Thanks for this post. This is exactly the type of stuff I wonder about. 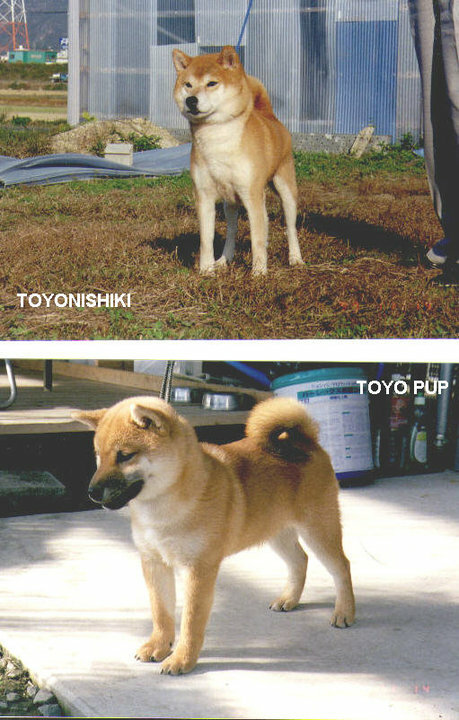 I think sometimes when we talk about Shibas as being a "primitive" breed, we overlook how they were nevertheless developed alongside humans, and selectively bred in modern days for a contemporary standard.The "cubby bear" appearance — do you mean like the sample picture of the puppy that was on Wikipedia for a while? It has since been replaced, but it's one of those "generic" shiba pictures that circulates across several websites.I wonder if fur pigmentation has anything to do with skin pigmentation… and if that has anything to do with overall dermal health, as I am also plagued by questions about why today's Shibas are so damn itchy. If they were this bad in the days before prednisone and cyclosporin and Benedryl, they wouldn't have survived! =PBaby Farrah is gorgeous. Really a breathtaking puppy. Jen, I really like the unrefined part, they look way more rugged and durable. Thanks, I love Farrah's look and temperment, very Shiba. I have had my Shiba inu for 5 years now. he will be 6 in August. He is almost solid black. He is also bigger than the normal color shibas. He weighs in a whopping 28 pounds in the summer and 32 in winter. all muscle and fur. . I know there are several types of Shibas.. and I wonder if he was just a throw back to one of the others. he is my baby and I have love Shibas since I have seen them in the pet store at the mall . Got this one from a breeder.